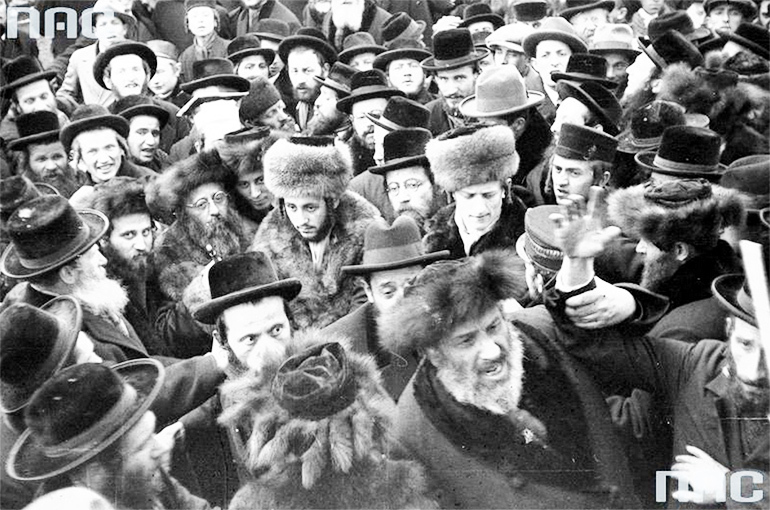 For centuries, Yiddish was the language of the Ashkenazi Jews of Eastern Europe. Nowadays it is rarely spoken, but lives on in the texts of Yiddish literature and the minds of Yiddish scholars who have strived to analyze its complex composition. This article is an introduction to Yiddish’s complicated linguistic relation with Slavic languages in general and with Polish in particular. With its German grammatical structure and the bulk of its vocabulary coming from German, Yiddish is usually classified as a Germanic tongue. But being a ‘mixed’ language, Yiddish has also had a couple of other languages impacting its structure and vocabulary – the most important components being Hebrew and the Slavic languages. Among the latter Polish may have played a key role. Here’s how and why. How much Polish is there in Yiddish? While the idea of a mixed language may be itself a bit controversial (every language is a mixed language in a way – those versed in the history of the English language know it best) Yiddish was to a much greater extent subject to influences from other languages. Additionally the very character of it being a mixed language goes further than in the case of many other languages (as you'll see below). In regard to Yiddish vocabulary it is estimated that the Germanic element makes up some 70-75 percent of the overall lexicon. The remaining 15-20 percent words come from Hebrew, while the Slavic element is estimated at 10-15 percent (an additional couple of percent is of early Romance origin). While the German and Hebrew could have been there right from the start (note: early Yiddish developed from Middle High German dialects) the impact of the so-called Slavic component comes later and obviously couldn't have started before Jews began migrating to the east. This migration took most of the Jewish nation to Poland. It is precisely there, around the 14th century, that the Yiddish language as we know it took shape. During the time of the massive influx of Jewish people from Germany in the late Middle Ages, Poland served as a departure point for further Jewish migrations to the east. This helps to explain the huge range of Polonisms across the whole area of Eastern Yiddish (the so-called Yiddishland) regardless of the dialect spoken of the area. (In Eastern Europe, Yiddish is generally divided into 3 major dialects: Polish, Litvish, and Ukrainian – each of them reflecting the characteristic features of the local substrate language). That’s why many of the Slavic words, constructions, etc in Yiddish can be identified ultimately as Polish, in contrast to other possible Slavic sources: that is Czech, Belarusian and Ukrainian (the influence of Russian on Yiddish comes much later, only in the 19th century). In fact, the influence of those languages on Yiddish was usually limited to the local variant of the language. To put it simply, Yiddish’s contact with Polish was the earliest and lasted for the longest time. Where to look for Polish in Yiddish? Linguists have identified certain cultural areas where Polish (and Slavic in general) is to be found in Yiddish. While the German component covers the most basic vocabulary and the Hebrew loanwords are reserved primarily for the areas of ritual, morality, religious and mental aspects of life as well as social conditions of Jewish life, Slavic loanwords are present in an altogether different context. They come usually in connection with household items and activities, immediate surroundings of the dwelling, family and professional life, as well as emotional states. Compare words like: bulke (bun), smetene (sour-cream), shpilke (pin), kopite (horse's hoof), khlipen (to sob), muchen zich, and nebekh. You've probably noticed that many of these Yiddish words feature some combination of -en-, -on-, -em-, or -om- which all reflect the nasal sounds of -ą, and ę in the Polish original. This often serves as the ultimate proof that a word was introduced into Yiddish through Polish, as it's the only Slavic language which retained the ancient Slavic nasal vowels. According to Professor Ewa Geller some of the most frequent Polonisms in Yiddish include: tate, mame, bobe (grandma, Pol. babcia), zeyde (grandpa – Pol. dziadek), khapn (grab), kachke (duck), drimlen (snooze, Pol. drzemać), as well as particles: ci (czy), take (indeed), chocz (choć). However the question of how much Polish is in Yiddish begs another question, namely: which Yiddish? The Yiddish language in Eastern Europe differed not only geographically. The language varied heavily depending on the register of the language and its immediate context. These to a great extent defined the amount of Slavisms (Polonisms) included in a given text. As Professor Ewa Geller suggests, the register of Yiddish where the number of Slavic loanwords was the highest was the spoken colloquial Yiddish. The Slavic element also came to the fore in the language of the press, poetry and folk songs. However, in other discourses and registers the number of Slavisms could have been very low, concludes Geller. As a result, there are registers of Yiddish that would have very little Slavic elements – for example poetry, especially in its high, religious, or elevated manifestations, would have been very likely devoid of any Slavic elements. At the same time, there were writers, like Yitskhok Leybush Peretz, whose work was much dependent on the Polish idiom. Based in Warsaw and considered the father of modern Yiddish literature, Peretz very much relied on Polonisms in his style. As Natalia Krynicka suggests, Peretz's readers not familiar with the Polish language have always had a hard time understanding some of the linguistic peculiarities in his work. Though words may be the most conspicuous element of a language, they are by far not the most important element of language system. Apart from vocabulary, the Slavic element has also influenced Yiddish grammar and morphology. And ways in which it did so really justify the term ‘mixed’ language – and have made linguists scratch their heads talking of interlingual interferences, transferences, loanshifts, borrowings, and contaminations. But one could also say here’s where Yiddish is at its most creative – or, for that sake, at its most Polish. tempkeyt – which means 'dumbness' (but is much more expressive), combines Slavic root temp- (< Pol. tępy = dumb) and the German sufix -keyt. baych – whip; is an even more complicated case as it combines Polish bicz and German Peitsche, forming a perfect synthesis. tamewate – dumb; Hebr. tame (stupid) + Slavic adj. suffix -waty. tate-mame - this is the Yiddish word for 'parents'. While these two words, taken separately, are Slavic words for mum and dad (tata, mama), there's no such phrase as tate-mame (tata-mama) in Polish or any Slavic language. Another case of words identified as Slavisms in Yiddish are verbs: rateven – to save, rabeven – to loot, mordeven – to kill. Although the word roots may suggest German at first (retten, robben, morden), they all came into Yiddish from Slavic languages (possibly Polish). This is plain when one compares Polish words: ratować, rabować, mordować. Interference is another linguistic term that could help to explain what’s happening within Yiddish words – in fact, what’s happening between languages. The process of interference may seem at first similar to that of a mistake which one makes while trying to speak a new language. Usually, learning a new language one would simply bring along the characteristic linguistic features of one’s own native tongue and incorporate them into the new language. But while in a language class this would be considered a mistake, in Yiddish constructions which resulted from such interferences have gained the full right of existence. More than this, they even came to epitomize the unique character of the language. ich dershrek zich – I'm scared (the interfering Polish phrase is: boję się). In lakhn fun (laugh about something) or greser fun (bigger than) the usage of fun results from interference with Polish phrases which use different particles than German: śmiać się z czegoś (lachen ueber etw) and większy od (Ger. groesser als). Professor Geller suggests that such constructions may be reminiscent of mistakes made by Poles - and Slavs in general - learning German. Also the traditional popular way to say “What's up?” in Yiddish – Vos hert zikh? - appears to be an interference drawing on Polish Co słychać? iberbetn – this Yiddish word means 'to apologize', the German equivalent would be "sich entschuldigen" which makes clear that iberbetn has nothing to do with the German substrate; but it has a lot to do with Polish przeprosić which it imitates (or nachshladevet, to use the Yiddish word). Linguists would call it a loanshift. In the above example the participle has the power of adverb – this mimics the way participle can be used in Slavic languages. By now you won’t be surprised to learn that Yiddish uses Slavic constructions for ‘playing piano’ or “inviting someone to the wedding’: shpilen oyf fortepian or farbetn oyf khasene. In both cases oyf is taken straight from Slavic rection. But note also farbetn: As you sure know by now it’s an obvious calque – comp. Pol. za-prosić (far-betn) – invite. vi keyn mol gornisht – which is a way to say in Yiddish "As if nothing had happened" – if you wondered about the sense of the words in Yiddish phrase compare Polish “jakby nigdy nic”. Another little Slavic word Yiddish likes a lot is abi (Polish aby). When used in a popular phrase like "Abi gezunt" it is usually translated as "As long as you're healthy [you can be happy]." What would be Yiddish without diminutives? Yiddish has its own – and very productive – system of producing diminutives. The most popular way to do this is by addding an -el suffix to the root, than you can always add another -e which makes the object even smaller (and cuter), like: Hersh-Hersh(e)l - Hershele. But the popularity of diminutives in Yiddish may itself reflect the penchant for diminutives typical for Slavic languages. In fact Yiddish incorporated Slavic diminutive suffixes: like -czyk or -czka (for masculine and feminine): compare: altichke or Jingermanchik or bublichki (this is Plural). heysinke – very hot (and little at the same time?). Remember the song Bublichki - this is a real diminutive frenzy: "Nu, koyft-zhe bublichki, / heysinke beygelakh". How much Yiddish Is There in Polish? As you can see, many of these have an emotional tinge. Several other words which have made its way into Polish are the subject of controversy as it is not clear whether Yiddish played the role of intermediary in transporting them into Polish or not. These are: gwar, belfer, git, picować, kojfnąć, and possibly fajny. machlojka - 'shady business'; in Yiddish (and Hebrew) it means a quarrel, dispute. Is Yiddish still influencing Polish? This would be rather difficult, considering that there are hardly any Yiddish speakers in Poland today – the last of the Yiddish native speakers having left the country close to half a century earlier in 1968. Which means that if Yiddish were to have some influence over Polish today that would have to work on a rather subconscious level. One surprising example of such potential impact may be the internet meme character called Doge. 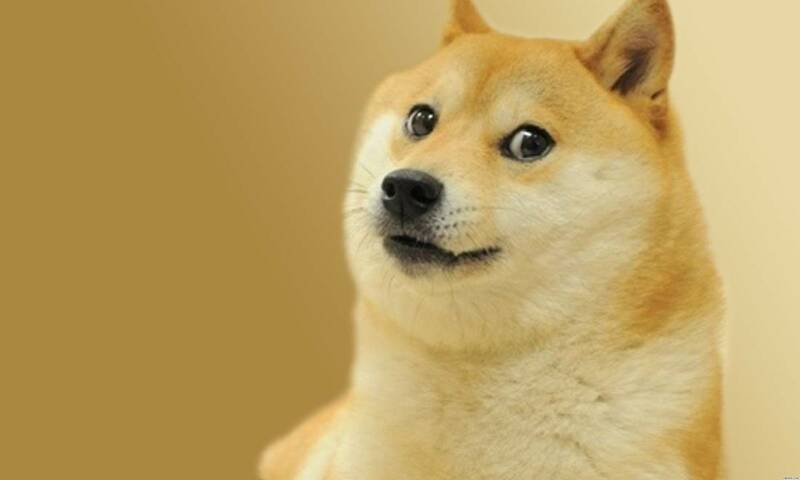 Born in America around 2012 and popular for a couple years after, Doge was itself an answer to the even more popular Cat meme. Of course, such memes being popular globally, Doge had its Polish version called Pieseł. The name is a coinage combining the Polish word for dog (pies) and the -eł suffix, which very likely is a variation on the Yiddish diminutive suffix (-el/-eł; compare Hersh → Hershl). While this last linguistic feature and its ultimate source in Yiddish is definitely not perceived by the average Polish speaker, being itself rather a topic for linguists, one would have to conclude that such borrowing from an altogether different and foreign language system is taking place on a rather subconscious level. But this occurrence may not be altogether incidental, as such things, especially those gaining great popularity with the public, are usually not. A possible explanation would go back to the cultural contexts and position of Yiddish in Polish culture. One of the phenomena of Poland's inter-war literary culture was the so-called szmonces – a cabaret genre which made fun of the language of Polish Jews attempting to speak Polish, its vis comica lying much in their use of Yiddish calques, structures and pronunciation, as well as obvious mistakes. If we remember that Pieseł speaks a highly corrupted, simplified version of a language full of mistakes, we will not be altogether surprised that his name goes back to a language that was once ridiculed for similar features. The bulk of the linguistic material and most of the examples quoted were taken from Professor Ewa Geller's book Jidysz. Język Żydów polskich, Warsaw 1994.